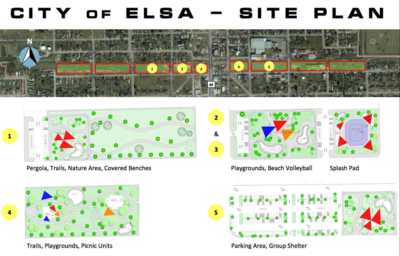 An abandoned railroad property that runs through the center of town will soon face a transformation into the $1.25 million City of Elsa Community Trail Park. On March 20, the project became closer to reality thanks in part to a $500,000 grant from the Texas Parks and Wildlife Commission. The city government will be providing $250,000 in local funds for the park. They are further expecting to receive $500,000 from the Valley Baptist Legacy Foundation. The city’s Economic Development Corporation purchased the entire abandoned railroad right-of-way to use for this project site for $280,576.95, according to the Texas Parks and Wildlife Commission. According to city leaders, the development of the park at 102 Diana Street, will will benefit the community in several ways. In the grant application, the park is promoted to “encourage healthy lifestyle choices by adding additional recreational opportunities” for both children and teens. 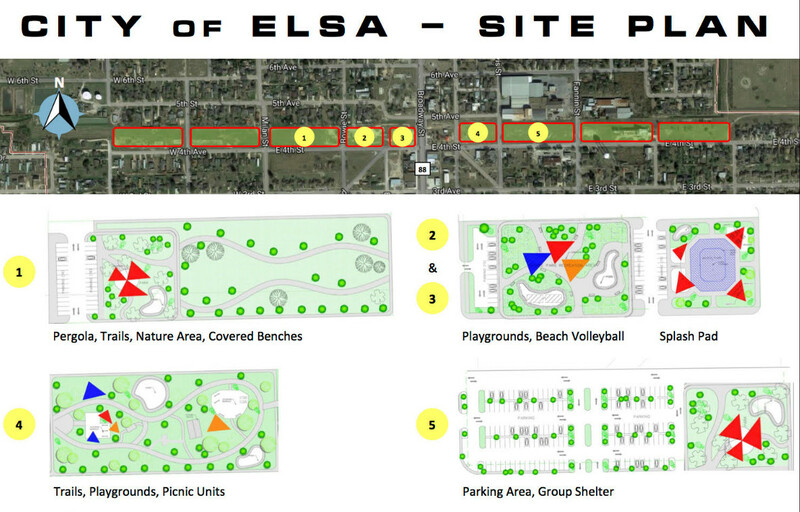 The application also states the park will be a safe location and supply recreational handicap facilities. Through these efforts, the city hopes to promote exercise, combat obesity, nurture wellness and improve quality of life,” states the application. Members of the Board of Trustees, Edcouch-Elsa Independent School District, also have been supportive of the planned city park. Negotiations are underway for a partnership between city and school district officials to link the school district’s existing sports and recreation facilities.